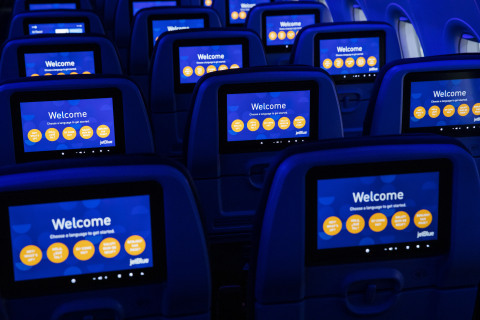 JetBlue announced that its newest cabin experience has entered into service, bringing to the skies the widest seats available for this aircraft, custom-designed seatback inflight entertainment (IFE) with 100+ channels of DIRECTV and hundreds of free movies and shows, ability to pair your mobile device to the screen, easy-to-reach power sources at every seat, and expanded coverage of free Wi-Fi connectivity almost everywhere JetBlue flies. JetBlue’s Airbus A320 aircraft, which make up the majority of the airline’s fleet, are being updated for the first time since the airline disrupted the industry with onboard live television and all-leather seats in 2000. 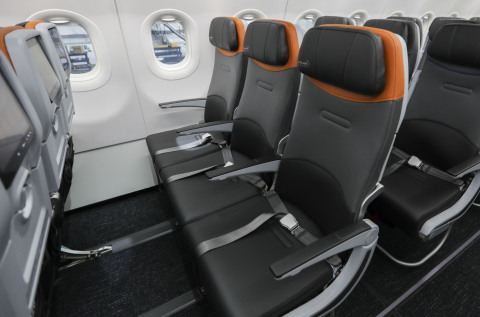 · Expanded seat width of more than 18 inches, the widest available for the A320. · The most legroom in coach of any U.S. airline (a). 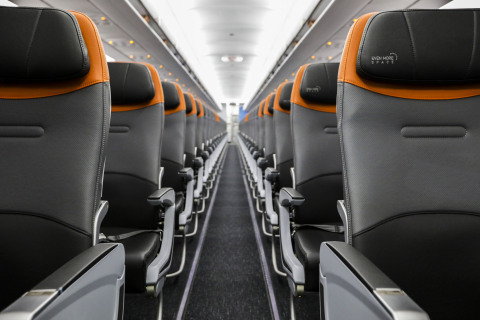 · Adjustable headrests, a new feature for JetBlue’s A320. · Contoured seatback design at knee level creating additional living space for every customer. · Redesigned seatback stowage options, including an innovative elastic grid to accommodate a variety of customer items. · At least two easy-to-reach power connections at every seat. · 10.1 inch, 1080P high definition screen at every seat. · More than 100 channels of live television with DVR-like pause and rewind functionality. · Expanded collection of on demand movies, TV shows and video content, plus new gaming features. · Destination-specific content allowing customers to enhance their travel experience. · Enhanced, 3D flight map offering multiple ways to track time to destination. · Personal handheld device pairing capabilities for use as a remote or gaming controller. · Expanded Fly-Fi connectivity, providing coverage to nearly the entire JetBlue network.